What's new in Bootstrap 3? This time Bootstarp has been shipped with Single responsive grid system.In bootstarp 2 , we had a fully responsive grid system and an adoptive grid system.It is basically 12 grid responsive system with 4 different sizes: extra small, small, medium, large. Bootstap follows mobile-first approach that means that when you think of layout your design think of implementing on small screen first and then scale your design on larger and larger environment. 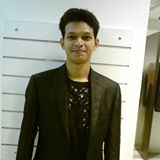 Myself Adeel hmad, working as Java Developer in Acism Software Pvt. Ltd.I have been part of this company since June 2014. I have great work experience with this company. Since my collegues are very devoted and self-motivated people this company has very good learning environment.I learned a lot including Hibernate,Java Persistence API,Pentaho Data Integration and Bussiness Intelligence.Now I am learning some client side technologies like Bootstrap, Angular JS, D3 Js ,Node Js etc. Blog is designed in by Adeel Ahmad.